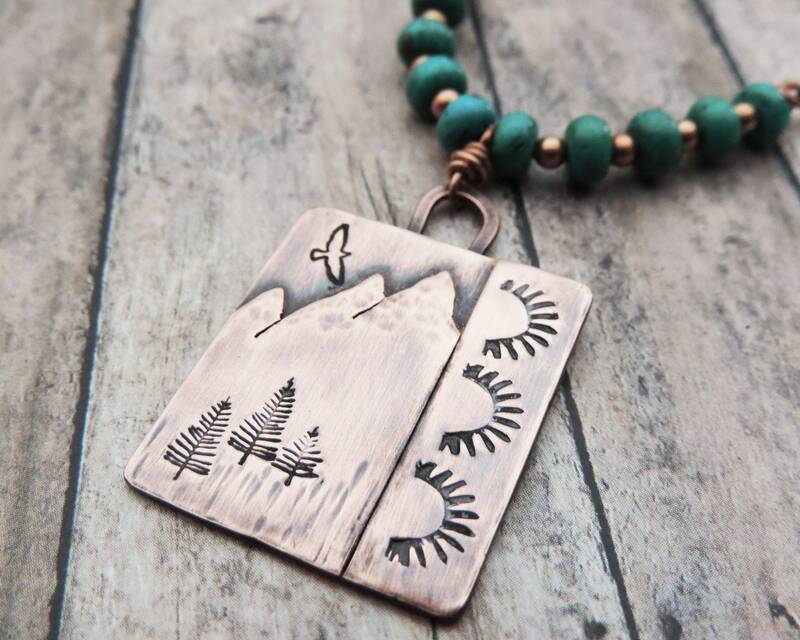 This mountain pendant has a southwestern style stamped border. The mountain design is hand drawn and cut from copper sheet then soldered to a copper background. It is accented with pine trees and a soaring bird. The rectangle pendant drops from a double strand brown leather cord with a row of turquoise rondelles to add to the southwestern style.